If you are in a car accident, your Personal Injury Protection (PIP) benefits can be vital to you. PIP is a system designed to make sure that car accident victims get payment of medical bills or of lost wages. 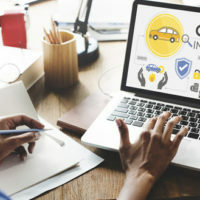 What makes PIP unique is that these insurance benefits are available to anyone in a car accident who has insurance without having to prove that someone else is liable for your accident. In fact, there doesn’t even need to be anybody else in the accident. If you run into a tree and are injured, you will get your PIP benefits (which is why it is sometimes called “no fault insurance”). PIP is required of all drivers on Florida roads. When people say that a driver was “uninsured,” or when an officer asks for proof of insurance, they are usually looking for proof of PIP benefits. The way PIP generally works is that you will receive 80% of your total medical bills as benefits, up to the maximum amount of your policy, which is usually $10,000. However, most policies have some sort of deductible, and that is where there is a conflict in Florida law. The conflict has to do with application of the deductible and when it is applied. Let’s assume someone has a $2,000 deductible, and incurs $6,000 worth of medical expenses after the accident. Does the 80% of PIP benefits apply to the entire $6,000, which would be a total insurance payout of $4,800? Or does PIP only apply to the medical bills incurred after subtracting the deductible–in our example, that would be 80% of $4,000, or $3,200? You would think that an easy definition or solution to this problem would be written into the statute, but it is not. Making matters worse, the district courts seem to disagree on this question, with the Fifth District saying benefits are applied before applying the deductible, and the Fourth saying they are applied afterwards. This makes a difference to all accident victims. The less that PIP pays for an accident victim, the more that may have to be paid out from the proceeds of a settlement or a verdict at trial later on. Now it is up to the Florida Supreme Court to make this determination and settle the conflict. The Court may opt to make a determination that provides the greatest amount of insurance coverage for motorists. But given the lack of clarity in the statute, the Court may simply say that if the legislature wants to make sure that benefits are maximized, they should say in the statute that the statutory percentage applies to the entirety of a motorist’s medical bill, before applying a deductible. If you are in any kind of accident, contact the Celeste Law Firm in West Palm Beach today for a free consultation to discuss whether you are entitled to compensation for your injuries.